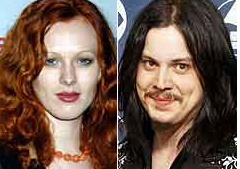 Congratulations to Jack White and Wife Karen Elson on the safe arrival of their baby boy. Henry Lee White was born on Tuesday in Tennessee. “The new child and his mother are both feeling very healthy and happy,” publicist Chloe Walsh said in a statement. The couple also have a 15-month-old daughter, Scarlett.